Is Trump contributing to a unique experience in protagonist democracy in Venezuela? If so, his administration and the Democratic Party supporting the U.S. elite’s Venezuela policy are in for a big surprise. On February 25, 2014 – five years ago! 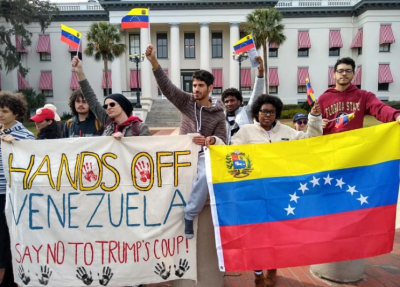 – BAR published my article titled “Obama’s Arrogant Interference in Venezuela and Resistance by a Participatory Democracy.” Over the five years of tampering, obstruction and suffocating sanctions, the Obama and Trump administrations have not been able to conquer Venezuela. Why? The U.S.-centric mindset has been steeped in the white supremacist notion of the “chosen people” from the time of the Pilgrims. It consists, among other features, of the racist outlook that peoples in the “Third World,” such as Latin America, cannot take their destiny in their own hands. Since the publication of that piece five years ago, history — along with my experience during other short visits to Caracas and my close following of TeleSUR in both English and Spanish — has forced me to revise my appreciation of Venezuela’s unique experience in democracy. It has certainly gone up more than just a notch. As a result of U.S. policies, democracy in Venezuela has been crossing the Rubicon from participatory democracy to a protagonist one. While the two are similar, especially in comparison with the experience of the Diktat in the capitalist North, there is a qualitative difference. Any hesitation at this time to qualify Venezuela’s Bolivarian Revolution’s democracy as being “above all” – as Chávez predicted and desired – “protagonist and not only participatory” vanished on February 4, 2019 in Caracas. Many valuable articles have already been published in BAR concerning the legitimate election of Maduro in the last elections of May 2018 on the one hand and, on the other, regarding the violation of Venezuelan and international law, including the United Nations in “recognizing” its man in Caracas. Furthermore, the main issue now is the right of Venezuela to its sovereignty and to choosing its own path without foreign interference, irrespective of any other considerations. Moreover, within this optic, the principal reality – ignored by the international media – is the civilian military union as a key component of Venezuelan democracy. It is not recognized either by ignorance or by mere wishful thinking, as those who want to eliminate the Bolivarian Revolution know very well it is this union that blocks their plan. Although it was not the first time that I had heard Maduro speak, his February 4 talk in that semi-private meeting with Venezuelans and foreign guests was a clincher. Among other points, he outlined in detail how he and the other leaders (whom I also met briefly in that meeting) have been and are today still working to organize and inspire — and in turn are being inspired by — all the sections of the armed forces all over the country, from pilots, navy to the army to the people’s militia. He pointed out that this civilian military union has been developing in the country over several decades. To flesh this out, I would add that more recently in the 1990s Chávez spent considerable time and effort to build a civilian military union. The goal was to overthrow the U.S.- backed de facto dictatorship that had ruled for many decades through the “two-party system” — all too familiar to Americans — alternating from one discredited party to another… that also soon became disgraced and so on. On February 4, 1992, Chávez and other officers and civilian revolutionary leaders organized a coup to overthrow the corrupt wealthy political elite to be replaced by the Bolivarian principles of independence and social justice. It failed, but then Chávez returned from prison to declare to the people on state TV that “for the moment” [por ahora] the rebellion had failed. This now iconic image and perspective words had further cemented the union between the military and the civilian population who had never before seen a political-military leader ready to give his life for a new Venezuela. This union rose to the fore again on April 13, 2002 when the civilian-military alliance brought Chavez back to power as the legitimate president after a short- lived US-backed coup executed on April 11, 2002. What then is this civilian-military union, its history and tradition? “The anti-feudal and anti-imperialist basis of our revolutionary process suggests a form of alliance that can accommodate differences in background, political credo, philosophical conception, religious convictions, economic or professional status, or party affiliation among Venezuelans. The strength and might of the common enemy calls for a united struggle to defeat it… The forces most inclined to fight for national liberation are the workers, peasants, petty bourgeoisie, students, intellectuals, and professionals as well as the majority of officials, Non-Commissioned Officers (NCOs), and soldiers of the air, sea, and land forces…” In Ojeda’s vision, which Chávez shared, all these civilian and military sectors are called upon to come together in a genuine national revolutionary alliance. (Ramonet, Ignacio, Hugo Chávez: Mi primera vida. Conversaciones con Ignacio Ramonet, Vintage Español, Nueva York, 2013. [Translation by Arnold August]). Today, more than ever before, in the face of a potential U.S. military intervention, this feature of the people being the authors of their ownBolivarian Revolution, rather than just participants in it, Venezuela is displaying a protagonist democracy to the world. It can be the death knell to any military adventure. The threat of U.S.-led military intervention is more real than ever. The issue for us all: No to military intervention in Venezuela and full support for the right of Venezuela to defend itself in the worse-case scenario. Polls in Europe and other countries show support for this position, while the main unions in Canada have issued and are issuing statements rejecting the pro-Trump position of the Justin Trudeau Liberal Party position and demonstrations are taking place in the U.S. The Justin Trudeau government hosted the so-called Lima Group in Ottawa on that same day, February 4, when we were in Caracas meeting with the Maduro government leadership. The official communiqué reaffirmed its support for the Trump position on Venezuela, consisting of foreign interference in the internal affairs of that country with full support of its puppet as the so-called president. The position of the Justin Trudeau government is a major and historical (in the very negative sense of the term)changein Canadian foreign policy, including within his own Liberal Party.In contrast for example, on the occasion of the 10th anniversary of the Iraq War (March 2013) former Liberal Party Prime Minister Jean Chrétien said in an interview regarding Canada’s position to NOT support the U.S. war in Iraq, that he [Chrétien]has no regrets about rejecting Canada’s participation in the U.S.-led mission. It was a very important decision, no doubt about it. It was, in fact, the first time ever that there was a war that the Brits and the Americans were involved, and Canada was not there, Chrétien told CTV’s [Canadian national news network] Power Play. Chrétien also said he was not convinced that Iraq had weapons of mass destruction — the threat that fuelled support for a U.S.-led invasion of the country — and that turned out to be true. He had support of the people and he was loved by the poor of his country. He was kind of a Robin Hood, Chrétien said. Chrétien said the Venezuelan authorities were very, very happy to see him at the funeral, because they were very unhappy with Harper’s remarks. Let us recall what most political people in Cuba, Latin America, and many in the West know: Justin Trudeau’s own father, as Liberal Party Prime Minister of Canada, went to Cuba when he stood next to Fidel Castro in June 1976 and shouted in a public meeting “Long live Prime Minister Fidel Castro!,” and had taken other positions independent of the U.S.
As the Canadian and other peoples increasingly recognize now, like any other family in whatever system, family relations and characteristics change. Regarding foreign relations, Justin Trudeau is not at all like his father. The press can quote me here as a Canadian: “Justin Trudeau’s father would turn over in his grave if he knew what his own son was doing.” Everyone in Canada hates Trump for all his policies, yet Justin Trudeau is aligned with him. While the Trudeau government admonishes Venezuela for its supposed lack of democracy, it does not seem to recognize cynical incongruities, such as when, last January 2019 (while the Lima Group anti-Venezuela “pro-democracy “conspiration was in full swing), the Canadian government’s Royal Canadian Mounted Police (RCMP) — as part of the century-long racist colonial occupation of indigenous lands — arrested 14 native people and entered a fortified checkpoint on a forest service road in northern B.C., where people at the Gidimt’en camp were barring a pipeline company from access (CBC). That led to more protests (YouTube: Toronto Star). “Democracy” in the North is one thing. The constantly developing protagonist democracy in Venezuela is entirely the opposite. Furthermore, it is the main shield to defend the fledgling Bolivarian socialist path against U.S.-led foreign interference which we must all fully oppose. Posted in VenezuelaComments Off on Venezuela: A Unique Experience in Protagonist Democracy? The Soviet Union was hampered by a variety of serious issues. Following the USSR’s official collapse over Christmas 1991, the CIA expected that within two years Cuba’s Revolution would follow suit. A generation later socialism endures in Cuba while the Soviet Union, a state larger in size than America and Canada combined, is becoming a distant memory. It stands out as remarkable that a great power such as the USSR evaporated without a single shot being discharged. Rubbing of salt into open wounds followed as Russia, under US supported Boris Yeltsin, made its transition to destructive state capitalism without serious protest; widespread privatization was ushered in along with trade and market “liberalism”. Those westerners who gleefully celebrated Soviet disintegration in the early 1990s, would have been wise to remember that it was the USSR which – less than 50 years before – had lifted itself up from the Wehrmacht’s staggering blows, before overcoming a Third Reich that had been marching eastwards to conquer the vast open steppes of Eurasia. By the mid-1970s, meanwhile, the Soviet Union was gradually eroding from within. This was partly due to their increasingly ill and frail president Leonid Brezhnev, who replaced Nikita Khrushchev in 1964, remaining in office until the day he died, 10 November 1982. Brezhnev had developed an appetite for luxury that was out of step for a communist leader, as revealed by his owning dozens of immaculate, Western-built automobiles. No such opulence was enjoyed by the average Soviet citizen. Brezhnev was fond too of fur coats, expensive liquor and prestigious medals, while he was a heavy smoker until the early 1970s. In December 1979, Brezhnev authorized what would prove a calamitous intervention in neighbouring Afghanistan. By this point Brezhnev’s bodily decline was in its final stages when, influenced by some voices in his ear, he said of the impending military advance, “we will end this war in three or four weeks”. The fighting in Afghanistan continued for nine years, much of it against American and Saudi-backed Jihadis including Osama bin Laden, which was another factor in the USSR’s demise. During the mid-1980s, Soviet causes were hampered further by the swift death in office of two of Brezhnev’s immediate successors: Yuri Andropov, who governed for a year before succumbing to kidney disease aged 69 in February 1984 – and then Konstantin Chernenko, always a heavy smoker and in later life plagued with emphysema. Chernenko, in his early 70s, died just over 12 months after succeeding Andropov and by the end suffered from a string of debilitating ailments. The decisions in electing both men to power were indeed questionable ones, as Andropov and Chernenko had been in poor health for years, while they lacked the vitality to overcome monumental problems that lay ahead. Their advanced years was not the issue, as countless people beyond so-called retirement age can retain their exuberance for life. Andropov and Chernenko may have been seen as steady, dependable figures and, significantly, both had a history of activism dating to Nazi Germany’s 1941 invasion. The Soviets had never fully recovered from Hitler’s assault, either psychologically or emotionally, and all their postwar leaders except Mikhail Gorbachev had performed a role in the Great Patriotic War. As the Soviet system fell a generation ago, America’s intelligence centres anticipated a quick and ignominious end too for the Cuban Revolution. Yet while the trappings of grandeur and cult of personality had hindered the USSR, similar weaknesses were not evident in Cuba. 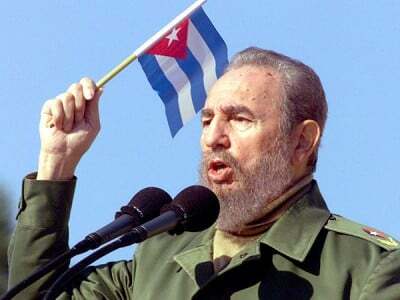 Fidel Castro, the Caribbean island’s long-time leader, had resisted the temptations of materialism and corruption, which has further bedevilled left governments in South and Central America. During his decades in power, Castro led an austere existence, working long hours and shunning the desire to indulge in ostentatious luxury or consumerism. He lived in a modest house consisting of two floors and four bedrooms, a comfortable if functional residence. One need but examine a person’s clothing to gain something of an idea into their habits and mode of living. For many years, Castro donned olive green military attire which stood out for its absence of medals and trinkets, unlike his Soviet counterpart Brezhnev, who had an array of decorations dangling from his lapels. Castro’s army fatigues constituted simple, loose clothing, ascetic and lacking in pretension. “The most difficult, most important fight that anyone with power faces is the fight against himself, the struggle for self-control. That may be one of the toughest ones. Against corruption and even against the abuse of one’s own prerogatives, one has to have a very well-trained, strong conscience, a great deal of awareness”. As the years progressed it became clear, even to some of his foes, that Castro was not the typical state leader, but someone in possession of a formidable intellect, who read for many hours each day and could instantly recall events from bygone years. He was particularly influenced by the writings of José Martí, a famed 19th century revolutionary philosopher, essayist and “Apostle of Cuban independence”. In 1985, aged 59, Castro ceased his smoking of Cohiba cigars with the future in mind. This lifestyle change played an important role in allowing him to enjoy a long existence. Leaving ideology aside, the Cuban government has – perhaps most importantly – remained separate from the insidious effects of private power, which across the world has become embedded in states resulting in ongoing compromised policies, followed by the predictable avarice and short-sightedness. In turn, this increasing need for collection of wealth and profits has resulted in planetary ecosystems being wiped out, heralding our world’s sixth mass extinction. A government can only stay independent should the head of state and all of its sitting members, without exception, have no links to vested interest groups, business board rooms, private ventures, and so on. Should a state be engineered by corporate dictates, it surely becomes an elitist one, pursuing strategies to benefit the rich and powerful. One can see this conflict of interest in various market economies, from America and Australia to Ireland. Major business influences, once implanted in state policy and promoted by willing politicians, seeks to serve the top bracket of society most of all – leaving general populations, broadly speaking, cast adrift. With Cuba’s disdain for private business, the Castro government sought programs such as instituting first class education and health systems, dispatching thousands of medical personnel to regions most in need of them. In the early 1990s, Cuba led the way in tackling climate change, which is little known or spoken of. Previously, in the 1970s and 1980s, Castro instigated foreign initiatives like the Cuban-inspired liberation of southern Africa from apartheid, a contribution which African leaders are not likely to forget. “What other country can point to a record of greater selflessness than Cuba has displayed in its relations to Africa?… It is unparalleled in African history to have another people rise in defence of one of us”. Posted on 23 February 2019. Tags: Greed, Tweets – Ignorance, or Insanity? 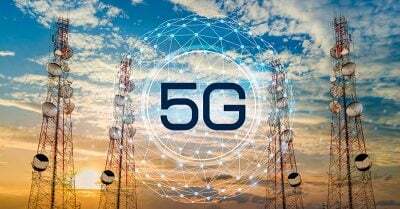 Posted in USAComments Off on 5G and Trump’s Tweets – Ignorance, Greed, or Insanity? On the eve of another US war for oil, Abby Martin debunks the most repeated myths about Venezuela. She uncovers how US sanctions are crimes against humanity with UN investigator and human rights Rapporteur Alfred De Zayas. Iran’s Turning into India’s Proxy by Taunting and Threatening Pakistan? Posted on 23 February 2019. Tags: Is Iran’s Turning into India ? Major General Qassem Soleimani, the famed commander of Iran’s elite Islamic Revolutionary Guard Corps (IGRC), proved that his country is increasingly turning into India’s proxy after he taunted and threatened Pakistan, resulting in the Islamic Republic incredibly taking some of the same positions as its American and “Israeli” enemies (both of whom are its new Indian patron’s allies) in spite of its official “principled” opposition to every manifestation of their policies. Iran recently celebrated the 40th anniversary of the Islamic Revolution, but instead of marking this momentous occasion by showcasing its sovereign gains over the past four decades, it ended up being manipulated into becoming India’ s proxy and paradoxically undermining the very independence that it’s so proud to have supposedly achieved. The author wrote about this at length in his piece earlier this week about how “Iran’s Being Tricked Into Making Balochistan The New Kurdistan”, explaining that the Islamic Republic’s “deep state” divisions are being masterfully exploited by India in order to turn Iran against Pakistan in the aftermath of a recent terrorist attack along the two Muslim countries’ shared border in the transnational region of Balochistan. Instead of de-escalating the situation behind the scenes by walking back some of its officials’ anti-Pakistani rhetoric and actively commencing joint anti-terrorist operations like the author suggested that it do in order to make the best out of a bad situation, Major General Qassem Soleimani – the famed commander of Iran’s elite Islamic Revolutionary Guard Corps (IRGC) – upped the ante by taunting and threatening Pakistan, proving that Iran is indeed on the path of becoming India’s proxy and apparently has no problem with this. His words dealt enormous damage to Pakistani-Iranian relations after he called into question the professionalism of his neighbor’s armed forces and portrayed the country as being on the brink of dissolution. “We have always offered Pakistan help in the region, but I have this question from the Pakistani government: where are you heading to? You have caused unrest along borders with all your neighbors and do you have any other neighbor left that you want to stir insecurity for? Are you, who have atomic bombs, unable to destroy a terrorist group with several hundred members in the region? How many of your own people have been killed in different terrorist operations? We do not want your condolences, how could your condolence help the people of Iran? I tell the Pakistani people that the Saudi cash has influenced Pakistan and they want to destroy Pakistan with such measures. Soleimani’s statement revealed a lot about Iran’s current outlook and deserves to be analyzed in depth. 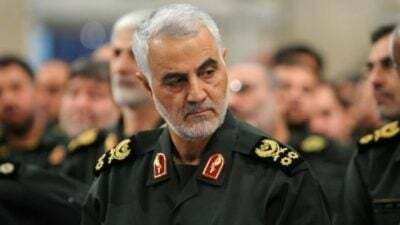 Firstly, Soleimani implied that Pakistan backstabbed Iran after he said that Tehran always offered to help it, after which he remarked that Islamabad is responsible for regional unrest. The General then taunted the Pakistani Armed Forces by rhetorically asking why their nuclear weapons can’t defeat a small armed group that’s supposedly operating within its borders, despite knowing fully well that those armaments are irrelevant when dealing with hybrid threats. That was a cheap attack against the military and meant to make it an international laughingstock. He also portrayed Pakistan as hypocritical by reminding it of how many people it lost to this same type of terrorism that he says its government is responsible for, after which he disrespectfully rejected its condolences. Soleimani then directly addressed the Pakistani people and tried to impugn Prime Minister Khan’s integrity by making it seem as though their leader is concealing an existentially dangerous conspiracy from them that involves Saudi Arabia paying the country to become a regional exporter of terrorism, which he implied the authorities recklessly agreed to even though he arrogantly predicted that this will result in Pakistan’s “disintegration”. He then proceeded to threaten Pakistan while disingenuously assuring it that he’s “speaking with a friendly tone” by promising that his military will “take revenge of its martyrs…no matter where they are in the world”, or in other words, might pull an Indian-like “surgical strike” against its neighbor (whether claiming it did or actually trying to). Whether Iran realizes it or not, its representatives’ statements – and especially the latest ones from General Soleimani – have reversed the recent progress in bilateral relations with Pakistan and shown the world that their country has been successfully manipulated by a foreign power’s psy-ops into turning against its neighbor. 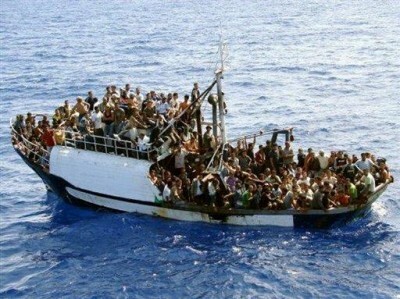 Some members of the Iranian “deep state” probably don’t mind, however, since they might cynically believe that this serves the purpose of distracting their population from their many internal problems that have been exacerbated by the US’ unilateral re-implementation of sanctions and getting them to redirect their critical focus away from Iran’s setbacks in the Mashriq and towards the new externally aggravated fault line with Pakistan instead. Worse still, all of this is occurring in the context of pronounced Indian-Pakistani tensions after the Pulwama attack, which suggests that Iran’s rhetoric is actually part of India’s regional Hybrid Waragainst Pakistan and further reinforcing the notion that the Islamic Republic has become New Delhi’s proxy against Islamabad. This increasingly hostile state of affairs is making it impossible for Pakistan to maintain its desired balance between Iran and Saudi Arabia and mediate between them like Islamabad previously offered to do. As a result, pro-Saudi sentiment is surging in Pakistani society while previously friendly attitudes towards Iran are rapidly disappearing, which is no one’s fault other than Tehran’s for implementing such an irresponsibly partisan policy against Pakistan. India didn’t manipulate Iran’s response to the artificial security dilemma that the joint Indo-American Hybrid War on CPEC eventually created between it and Pakistan just for the sake of “deep state” satisfaction, but to achieve tangible strategic outcomes that work out to its long-term advantage. The worsening of Pakistani-Iranian relations greatly hinders the creation of the Golden Ring of Multipolar Great Powers between those two Muslim countries, Turkey, Russia, and China, and it gives India a direct inroad into this geopolitical construction’s Central Asian core through the trans-Iranian North-South Transport Corridor’s (NSTC)’s eastern branch. Furthermore, India could take advantage of this situation to obtain basing rights for its navy in Chabahar, as well as pull Iran away from the Taliban. By unprecedentedly becoming strategically dependent on India, however, Iran is also coming under the indirect influence of its patron’s American and “Israeli” allies too. About that, it can be said that Iran has currently come to share the same position towards Pakistan as India’s two aforementioned allies despite being their sworn enemy after all four of them accused Islamabad of hosting terrorists and being responsible for regional unrest. It’s almost surreal that the Islamic Republic celebrated the 40thanniversary of its revolution by aligning itself with what it refers to as the “Great and Little Satans”, an outcome that was brought about by India’s clandestine “facilitation” and which the Islamic Republic might wrongly believe will relieve their growing pressure upon it. It’s the height of hypocrisy that Iran is now on the same side as its American and “Israeli” enemies vis-à-vis Pakistan because it’s invested so heavily since the revolution to establish the international reputation that it will always oppose the manifestation of both of their policies on principle. This “politically incorrect” observation draws into question everything that the Iranian leadership said that it stood for since 1979 and confirms that there are indeed “exceptions” to its “principled stance” of never aligning with the “Great and Little Satans”. Apparently, it’s okay to do so as a form of protest against Saudi Crown Prince Mohammed Bin Salman’s (MBS) recent visit to Pakistan and as a sign of appreciation for India’s NSTC investments. Still, Iran didn’t overreact when MBS went to India afterwards, probably because New Delhi has basically “paid off” Iran with the promise (key word) of those said megaproject investments as a form of implicit sanctions relief. This, however, ignores the fact that the US’ NSTC sanctions waiver to Indiaand Saudi Arabia’s planned energy deals with it both work out to the Islamic Republic’s long-term detriment by making it so that New Delhi achieves historically unparalleled “good cop/bad cop” influence over its economy. Tellingly, while Iran harshly criticizes Saudi Arabia for its secret ties with “Israel”, it’s silent about Modi publicly strolling with Netanayhu barefoot on a Mediterranean beach in summer 2017, proving how “exceptional” Iran regards India as being. While it might seem like all hope is lost in Pakistani-Iranian relations after the latter danced along to America’s strategic choreography by becoming India’s proxy in exchange for the promise (key word) of de-facto sanctions relief, there’s a chance that Russia’s recent return to the region can at the very least stop the situation from reaching rock bottom. Russia is regarded as being just as “exceptional” as India is in Iran’s eyes and therefore “allowed” to enjoy high-level strategic relations with both of the Islamic Republic’s “Israeli” and Saudi foes (despite growing Russian-Iranian disagreements over Syria) because Tehran considers Moscow to be an irreplaceable “pressure valve” by virtue of its geography, impending free trade deal, and a possible $5 billion loan. Russia is so indispensable to Iran that there’s no way that Tehran could pressure Moscow to suspend its planned $10 billion undersea pipeline between itself, Pakistan, and India until Pakistani-Iranian relations improve. Nor, for that matter, could it stop Russian businessmen from using the NSTC to facilitate their country’s trade with Pakistan, meaning that Moscow is unquestionably in a position to “balance” between both Muslim Great Powers in accordance with its envisaged 21st-century grand strategy and therefore keep the situation from spiraling out of control. In fact, Russia might even be able to exert some “moderating influence” over Iran and get it to reconsider its current hostility against Pakistan, which could eventually set the basis for it to broker a rapprochement. Iran was surprisingly manipulated on the occasion of none other than the 40thanniversary of its revolution into abandoning its commitment to independent policies and becoming India’s proxy instead, which it did in response to New Delhi’s wildly successful psy-op after a recent terrorist attack and in exchange for the promise (key word) of de-facto sanctions relief. 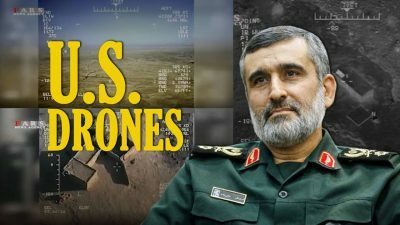 IRGC commander General Soleimani publicly taunted and threatened Pakistan as a sign of fealty to his country’s new patron, which ruined any chances of Islamabad mediating between Tehran and Riyadh like it previously offered to do in pursuit of regional peace and incredibly aligned the Islamic Republic with its American and “Israeli” enemies, all of which works out to India’s ultimate strategic benefit. All isn’t lost, however, since Russia could conceivably leverage its impressive influence over Iran and hefty investments in its economy (both current and forthcoming) to ensure that Pakistani-Iranian relations stabilize and avoid reaching rock bottom, though it’ll still remain immensely difficult for Moscow to counteract New Delhi’s influence and get Tehran to improve its ties with Islamabad in the near future. As unbelievable as it may sound, “Israel’s” Haaretz almost got the regional state of affairs right when it released an article titled “Pakistan Just Became Saudi Arabia’s Client State, and Turned Its Back on Tehran”, except they mixed up the subjects and it should have been that “Iran Just Became India’s Client State, and Turned Its Back on Islamabad”. Posted in Iran, Pakistan & KashmirComments Off on Iran’s Turning into India’s Proxy by Taunting and Threatening Pakistan? As he stated at the outset, Vladimir Putin’s annual state of the nation address today before a joint session of the nation’s bicameral legislature was devoted preponderantly to domestic policy. He was expanding on the practical implications for the Russian population of the policy priorities for his current six-year term that he set out in decrees of May 2018. These have in the meantime taken the form of national projects organized around support to families to encourage childbearing and stabilize the national demographics; housing construction and financing; roads, ports and other transport infrastructure development; improved health services; upgrading public education; encouragement to business innovation and export; and the like. 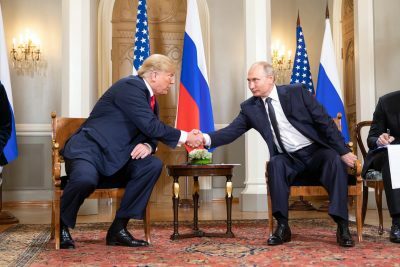 The most acute and discussed issue today in Russian-American relations is the unilateral withdrawal of the USA from the Intermediate-Range Nuclear Forces (INF) Treaty. Therefore, I am simply compelled to dwell on this in some detail. Yes, to be sure, from the moment of the conclusion of this Treaty in 1987 there have been serious changes in the world. Many countries have developed and continue to develop this form of weapons, whereas Russia and the USA do not. We voluntarily have restricted ourselves in this matter. Such a situation, of course, can raise questions; that is understandable. That is what our American partners should have said, honestly, and without using fabricated accusations against Russia to justify their unilateral withdrawal from the Treaty. It would have been better if, as in 2002, when they left the ABM Treaty, they had been open and honest about it. Whether this is a good or bad thing is another matter. I believe it is bad. But they did so and that’s it. Here they should have acted honestly. How are they themselves acting in fact? They are violating everything and then seek justification and designate guilty parties. And still more, they mobilize their satellites: they are very cautious, but still like piglets they oink their assent on this question. At first, they began development and application of medium range missiles, seeking to divert attention by calling them “target missiles” for their missile defense system. Then they began installing in Europe the MK-41 multipurpose launchers which make it possible to perform combat use of the medium range Tomahawk cruise missiles. Work on the promising models and systems of arms about which I spoke in my Address a year ago is continuing – at an even pace, without interruptions, according to plan. We have begun serial production of the Avangard complex about which I already spoke today. This year, as was planned, the first regiment of the Strategic Missile Troops will be supplied with it. We are in production and carrying out the cycle of tests on the heavy, intercontinental missile Sarmat which has unprecedented power. The Peresvet laser installations and air force complexes equipped with the hypersonic Kinzhal missiles have confirmed their unique specifications in test and battle duty; the personnel have gained experience operating them. In December of this year all the Peresvety units delivered to the Armed Forces will be put on combat duty. We are continuing work to extend the infrastructure for hosting MiG-31 planes equipped with Kinzhal missiles. The tests are going well on our unlimited range cruise missile powered by the Burevestnk nuclear engine, as well as on the Poseidon, our underwater drone with unlimited range. We see that we are dealing with businesslike, very talented people. However, among the ruling class there are many of those who are excessively captivated by the idea of their exceptionalism and their superiority over the rest of the world. It stands to reason that they have the right to think so if they wish. But do they know how to count? Surely they do. Let them calculate the range and speed of our upcoming weapons systems. We only ask one thing: let them first do their calculations, and only after that take decisions which can create serious threats for our country, understandably leading to actions in response from the Russian side to reliably ensure our security. Here’s the full video of President Putin’s state of the nation address. Posted in USA, RussiaComments Off on Putin on National Defense: Threats or a Bid to Negotiate on Arms Control? Clinton later clarified that she intends to condemn antisemitism on Omar’s part as well as on either end of the political spectrum. “I also think we have to call out antisemitic language and tropes on all sides, particularly in our elected officials and particularly now,” Clinton tweeted. Disappointed @ChelseaClinton is pilling on @IlhanMN instead of reaching out to her. She is a new MoC and figuring out how to navigate calling out AIPAC ( which is a terrible organization aligned with Bibi) and learning that a lot of folks will assume the worst. Thank you, Chelsea – antisemitism on all sides, in all spaces, no matter how uncomfortable should always be called out and condemned. Words matter Rep. @IlhanMN. Anti-Semitism is on the rise in the US and abroad. The use of this tired anti-Semitic trope about Jews and money is inappropriate and upsetting. As Americans and Jews, we expect our politicians to condemn bigotry, not fuel it. Max Rose, a New York Democratic congressman, responded to Omar, as well. Facebook has banned several pages belonging to such viral media outlets as In the Now because they are affiliates of the Russian-funded network RT – even though these media outlets violated none of the social network’s rules. Yet The Electronic Intifada can exclusively reveal that Facebook has given a nod of approval to a network of secretive and deceptive pages set up by The Israel Project, a lobby group that collaborateswith the Israeli government and withIsrael’smilitaryestablishment to influence public opinion against Palestinians. Khalek is a former editor and writer for The Electronic Intifada. As Kevin Gosztola reported for Shadowproof, CNN’s hit piece revealed no violations of Facebook policies by Maffick Media’s pages. It has been 3 days since @facebook suspended @IntheNow_tweet‘s page at the behest of @CNN and US government funded think tanks. We had almost 4 million subscribers, did not violate any Facebook rules, were given no warning & Facebook isn’t responding to us. However CNN drew on Ben Nimmo of the Atlantic Council’s Digital Forensic Research Lab as a supposed expert to claim that In The Now journalists “routinely boost Kremlin narratives, especially those which portray the West negatively.”A pro-war think tank, The Atlantic Council boasts funders including NATO, the governments of the United States, United Kingdom and United Arab Emirates, and a slew of arms companies. CNN also acknowledged that the relationship between Maffick Media and RT was brought to its attention by the Alliance for Securing Democracy, a cut-out of the US and NATO-financed German Marshall Fund. The Alliance for Securing Democracy’s “advisory council” is a who’s who of US government figures and right-wing ideologues including former Secretary of Homeland Security Michael Chertoff, neoconservative war hawk Bill Kristol, former CIA acting director Michael Morell, Hillary Clinton presidential campaign chair John Podesta and former NATO Supreme Allied Commander Admiral James Stavridis. CNN reporters claimed that their network’s “investigation” uncovered that “Russia is paying to produce viral videos aimed at Americans” – even though the fact that In The Now has Russian funding was not a secret and already widelyknown. CNN even misquoted Maffick Media chief operating officer J. Ray Sparks to make it seem like he had acknowledged duplicitous behavior by his company to conceal its Russian funding, when he was merely noting that it was “standard industry practice” among all media outlets not to include extensive disclosures about their ownership structures. CNN was forced to issue a correction after Gosztola revealed this deception. CNN searched for story on Russia-backed viral video company. Struggling, it reached out to Facebook. After Facebook suspended company’s pages, it had story. Here’s conversation I recorded with @RaniaKhalek about CNN, which fabricated a story around her work and the work of In The Now. They had little to nothing until Facebook censored journalists critical of US govt. Then CNN published their report. CNN is obsessed with, and steadfastly devoted to, pressuring social media companies to censor from the internet political content critical of the US Govt. They work with US-funded groups to do it. What odd behavior for a news outlet: sounds more like an arm of the State Dept. CNN’s owner, AT&T, has very close relationships with the US security state, especially its spying. CNN never discloses this. CNN employs many ex-agents. They never disclose the interests of their weapons advertisers in the wars they promote. But they demand FB censors others. In stark contrast to Facebook’s swift removal of pages belonging to media outlets that challenge US government policies, the social network has taken no action against a secret influence campaign run by The Israel Project, a major lobby group. The effort to manipulate unsuspecting Facebook users was revealed in The Lobby – USA, an undercover Al Jazeera documentary that was never broadcast by the network due to censorship by Qatar following pressure from pro-Israel organizations. But The Electronic Intifada obtained a leaked copy of the film and published it in full in November. The Israel Project created a network of seemingly innocuous pages, including Cup of Jane – which has more than half a million followers – Soul Mama, History Bites, We Have Only One Earth and This Explains That. These pages mostly share funny or inspirational material, often with a progressive or feminist tilt, mostly with no connection to Israel. But The Israel Project regularly drops pro-Israel material into the stream of content – while concealing entirely or failing to explicitly acknowledge that the pages are run by a group that works to promote Israel and its government’s policies. In September, soon after it revealed The Israel Project-run pages, The Electronic Intifada asked Facebook if the secret influence campaign violated any of Facebook’s policies – particularly in light of the furore over the alleged, though unsubstantiated or false, charges of a massive Russia-backed effort to use social media to influence the 2016 US presidential election. This is hardly surprising given that it was already known that Facebook partners with the Israeli and US governments to delete accounts that those governments do not like. But it is more clear proof that Facebook isn’t concerned about protecting users from unwitting exposure to government propaganda. Rather, it is colluding with the US and allied governments, and government-aligned corporate media like CNN, to suppress reportage and opinion that challenge the United States and its client regimes like Israel.